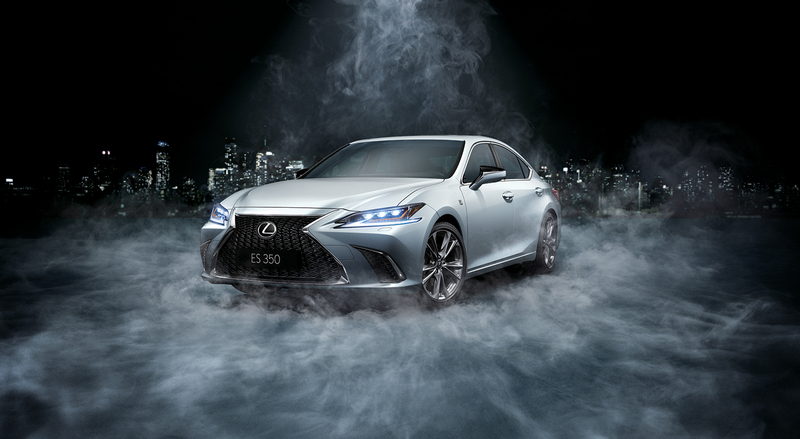 The F SPORT is designed to extend the limits of the ES’s smooth performance. 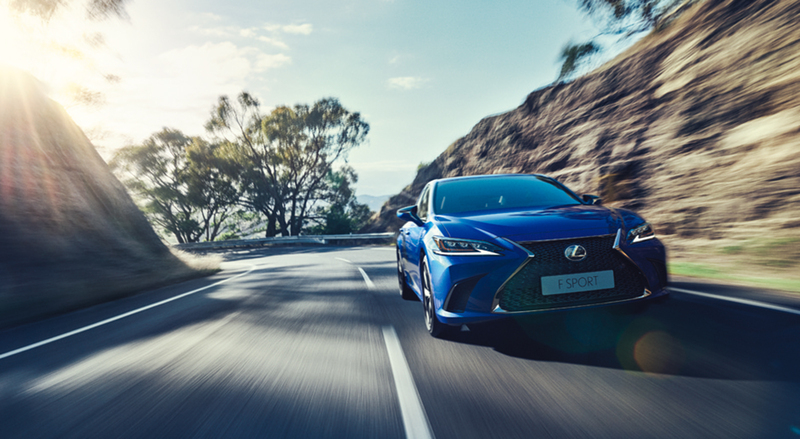 The exterior features an exclusive mesh radiator grille, rear lower bumper garnish, and other design cues that highlight the F SPORT’s fearless and aggressive personality. In the cabin, a selection of exclusive features heightens expectation of exhilarating performance. 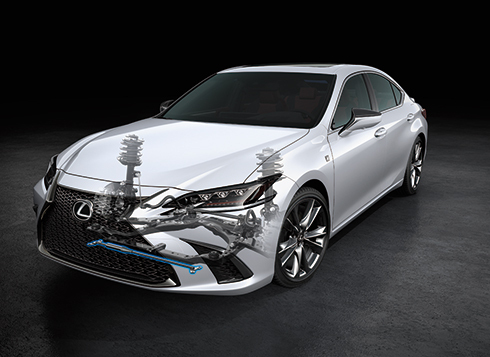 The specially-tuned suspension delivers sharp steering feel, flat cornering and a smooth ride, while additional refinements realize exceptional performance in various driving situations. 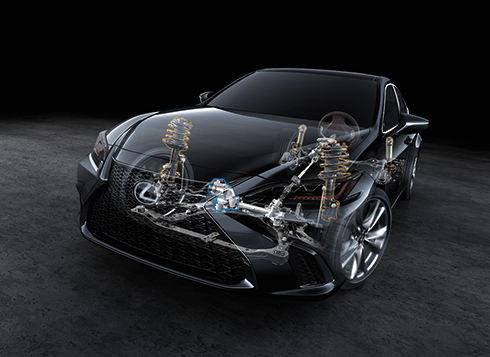 Performance dampers in the front and rear heighten the sense of oneness between car and driver. They quickly absorb body flex and minuscule vibrations while driving to sharpen handling characteristics, as well as contributing to the excellent ride comfort and quietness. 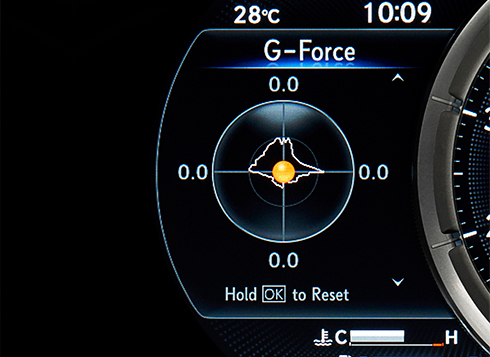 The meter ring on the large TFT (Thin Film Transistor) color multi-information display slides to the side at a touch of a switch on the steering wheel. 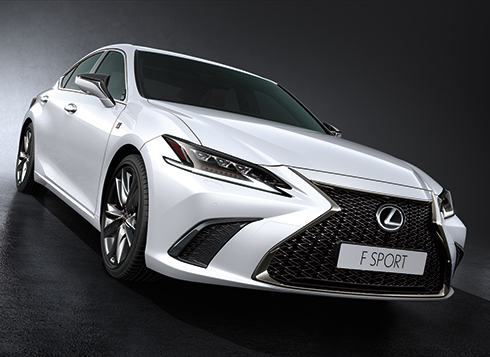 Evolved from the LFA supercar, the advanced interface of the F SPORT’s sliding meter ring uses motion graphics that combine beautiful design with excellent visibility to display a range of functions that instantly communicate important information according to its priority. 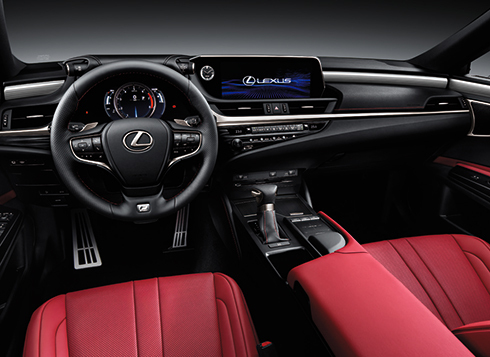 The exclusive sports seats evoke the sharp design of the LC’s sports seats. An ‘integrated foaming’ structure contributes to the excellent fit and holding performance. Optimized for the F SPORT, these seats combine outstanding comfort with excellent support for the body during sports driving.